It's not so much that the Lance Armstrong story was too good to be true. Now it might just be too good to let go. Even after investigators unveiled a scathing report portraying him as an unrepentant drug cheat, Armstrong continues to confound his public with rivaling images: a rapacious, win-at-all-costs athlete or a hero who came back from cancer. We've all heard his story before: An up-and-coming cyclist gets stricken with testicular cancer at age 25. He's given less than a 50 percent chance of surviving. Instead, he fights it off and comes back stronger. He wins the Tour de France seven times. Hobnobs with presidents. Dates a rock star and pretty much becomes one himself. Uses his fame and success to raise millions to promote cancer awareness. Even if it all really is the impossible fairy tale it sounds like — one built on a brittle mountain of drugs, deception and arm-twisting — it's the narrative the world has happily listened to for nearly 15 years. More than 1,000 pages of finely detailed evidence from the U.S. Anti-Doping Agency are now in the open, supporting its decision to ban Armstrong for life from cycling and order his titles stripped for using performance-enhancing drugs. Yet while other sports stars who have faced drug-induced downfalls — Marion Jones, Barry Bonds, Roger Clemens — fade from memory or become objects of scorn, Armstrong keeps rolling along. You can see it in social media. Sure, negative comments dot the landscape — people have put an "X'' through the "v'' on their Livestrong wristbands to make it read "Lie strong". But the tributes also keep coming: a few dozen new posts on a Facebook page titled "Lance Armstrong Supporters," either vilify USADA or tell Armstrong they've got his back. You can see it from the sponsors — Nike is one example — that are sticking with Armstrong. You can see it in the donations to the Lance Armstrong Foundation, which have spiked since August, when Armstrong announced he wouldn't fight the doping charges. And it also shows in the way Armstrong steadfastly goes about his business. On Thursday, the day after the USADA report came out, he was at his foundation headquarters in Austin, Texas, looking for a place to hang a picture. On Friday, he linked to his Twitter account a shiny new slide show touting the top 15 things his foundation has accomplished since it was founded, 15 years ago this month. Star-studded anniversary celebrations are in the works. "His whole story kind of falls into the category of, sometimes good people do bad things, or, conversely, sometimes bad people do good things," said Stan Teitelbaum, author of "Athletes Who Indulge Their Dark Side." ''In a way, it's the 'Whatever Syndrome.' There used to be a strong sense of indignation at things like this. How could my hero be this way? But when we the people, we the public, get disillusioned so many times, we shrug our shoulders and we just say, 'Whatever.'" But because of the cause Armstrong represents, the hope he's given and the money he's raised, it could be more than that. His story, to say nothing of those 84 million yellow Livestrong wristbands he's sold, speak to a larger truth: A good number of the more than 25 million people fighting cancer worldwide look for inspiration to gain the strength to keep going. 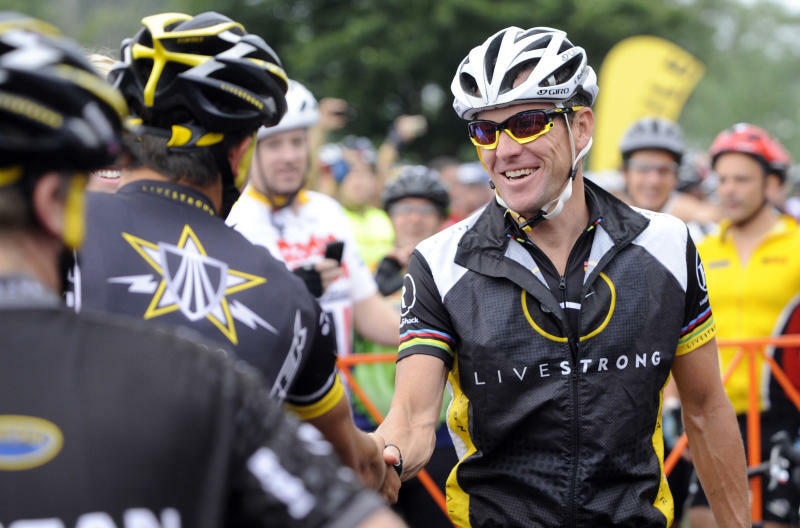 Armstrong showed them it could be done, while raising more than $500 million to help their cause. His critics give him credit for raising the money but say he did a disservice to cancer patients by giving them false hope. One takeaway from the report could be that it really does take more than will, moxie and hard work — which is all Armstrong said he needed — to beat cancer and return better than ever. "The problem believers are facing now is that the thing that made him remarkable, the thing that made them love him, is that he always won," said Daniel Coyle, author of "Lance Armstrong's War" and "The Secret Race," which he wrote with Tyler Hamilton, a former teammate and witness against Armstrong. "Now, we're getting an accurate X-ray of how that happened and people have a choice. They can look at these facts and decide it was too good to be true. Or close their eyes and keep believing." Gregory De Respino, whose wife, Gail, died of cancer in 2009, is among the legion of Armstrong fans who aren't as interested in USADA's version of the truth. De Respino said he pays virtually no attention to news of the investigation, the testimony or the evidence because, he says, "you don't get anywhere damning people for their past." "My opinion of him as a man has not changed. His pro career is past and that's where it stays for me," said De Respino, who lives in the New York City area and gives regularly to Livestrong. "He's a cancer survivor and his entire story revolves forward from that. If you want to take one piece of his life and make that the only story, that's your choice. But I think that's one reason he chose not to fight anymore. He's got bigger fish to fry. He's got a foundation that needs his full-time attention." The fervent support the 41-year-old Armstrong still engenders, in the wake of such damning facts and testimony from nearly a dozen ex-teammates, is a sign of the emotion his story still holds. That's an element missing from the stories of Jones, Bonds, Clemens, Mark McGwire, Sammy Sosa and others who've been tainted by the cloud of performance-enhancing drugs. None of them overcame what Armstrong did. That point was driven home in a blog written in August, after Armstrong gave up fighting the sanctions, by Dr. Leonard Lichtenfeld, the deputy chief medical officer for the American Cancer Society. Lichtenfeld watched Armstrong give a passionate presentation to the Texas state Legislature years ago in support of a multibillion-dollar funding bill for cancer research. The legislation passed, with no small credit to Armstrong, Lichtenfeld said. "I will tell you hands down I have never witnessed anything so powerful as I witnessed that night," Lichtenfeld wrote. "He created a mission that will live long past him, and will survive whatever people choose to make of the events surrounding him. He has taken the message of survivorship to the world with a power that no one else possesses." Lichtenfeld declined an interview request but said his feelings haven't changed. Jay Kornegay, race and sports book director at The LVH casino, has watched his industry profit when emotion, at times, trumps logic in decisions made through the prism of sports. 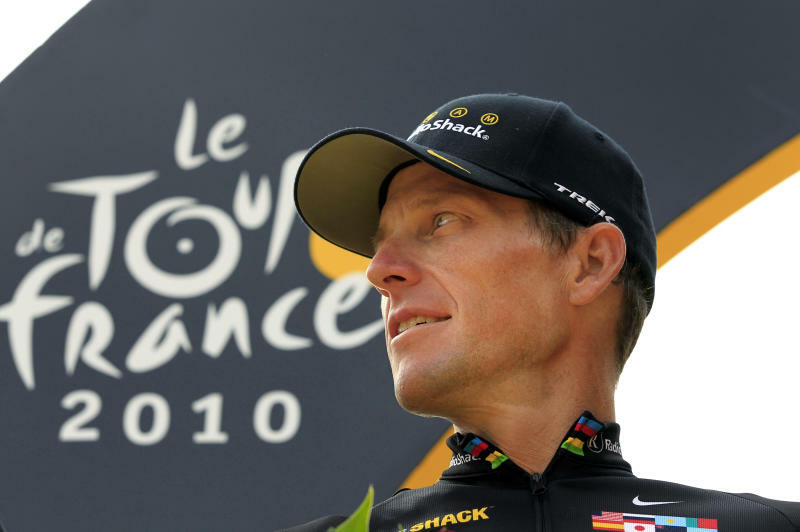 He sees how that could happen with Armstrong, even as his story plays to an increasingly savvy and more cynical public. 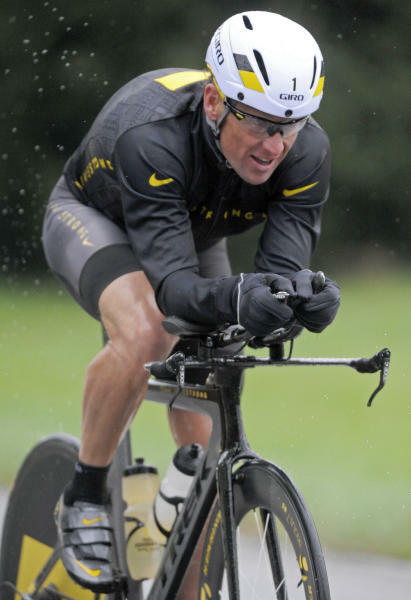 He guesses the resilience of Armstrong and his brand is as much a sign of steroid fatigue as anything else. "I think this is just a simple case of people saying, 'We've heard the story before. Everybody does it,'" Kornegay said. "He's a great humanitarian who helps so many others, and he continues to do so. So, they say, 'Hey, we're going to give him a mulligan on this one.'"